My wife Tracy and I have been in ministry for over a decade. In 2010, God began to turn our hearts towards church planting. In 2011, the call was clear, but I wasn't sure that I could be a lead planter. 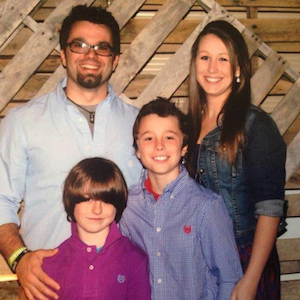 So, in 2012, we partnered with Cary and Sara Weaver to help plant Verge Church in Jonesboro. In November 2015, I became the Lead Pastor and my wife is one of the worship leaders. Our vision for Verge is that it will be a church planting church. Verge Church launched September 9, 2012 in Jonesboro. We met in the Malco Theater for over a year before we transitioned to a local gym. We currently meet in a building behind Hobby Lobby on Grant Ave. We are primarily reaching unchurched/dechurched people. We have many people come to us who were burned by church or they blamed God for something. It's exciting to see Him turn people's hearts back to him.